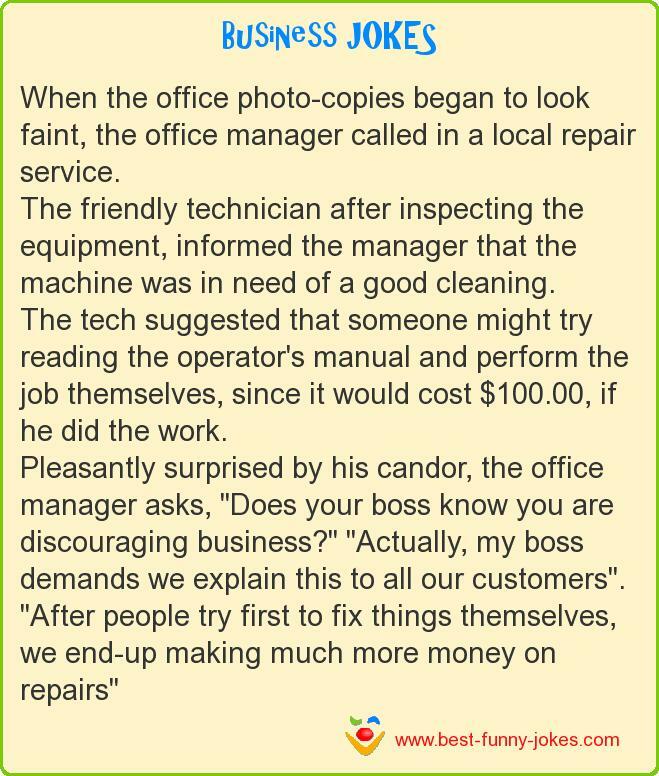 When the office photo-copies began to look faint, the office manager called in a local repair service. The friendly technician after inspecting the equipment, informed the manager that the machine was in need of a good cleaning. The tech suggested that someone might try reading the operator's manual and perform the job themselves, since it would cost $100.00, if he did the work. Pleasantly surprised by his candor, the office manager asks, "Does your boss know you are discouraging business?" "Actually, my boss demands we explain this to all our customers". "After people try first to fix things themselves, we end-up making much more money on repairs"